Lions Splash Pad was closed on Wednesday 9/5 for the 2018 season. With an estimated 8,000-10,000 visits by children this year, the S-G Lions are thrilled with the success of the project. We would like to thank all of the donors and volunteers who helped make the project a reality. It is expected to open annually from Memorial Day to Labor Day. We look forward to decades of fun for kids at the Splash Pad. 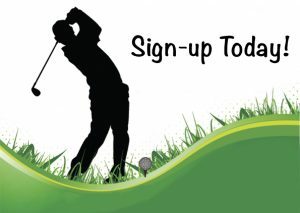 The Scotia-Glenville Lions will have our 23rd annual Falling Leaves Golf Tournament on Sept 17 at the Edison Club. LIONS SPLASH PAD NOW OPEN. 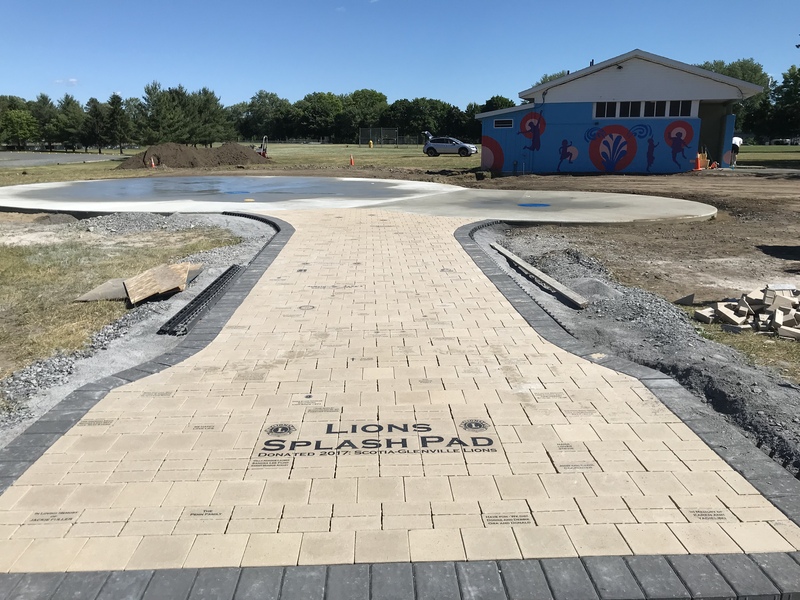 The Grand Opening for Lions Splash Pad occurred on June 30 with about 150 people to kick off the start. Thanks to our donors for making this project possible, particularly Maddie’s Mark Foundation. The Splash Pad it is located in Collins Park (Scotia, NY), next to the brightly colored bathroom building which you can see it from Jumpin Jacks. The Splash Pad is on a timer and will only operate from 10AM to 6PM (times may extend later in summer). Stepping on the white buttons in the concrete will turn on the water jets for 4 minutes. The water jets run in a choreographed pattern. Simply press the button again to continue. 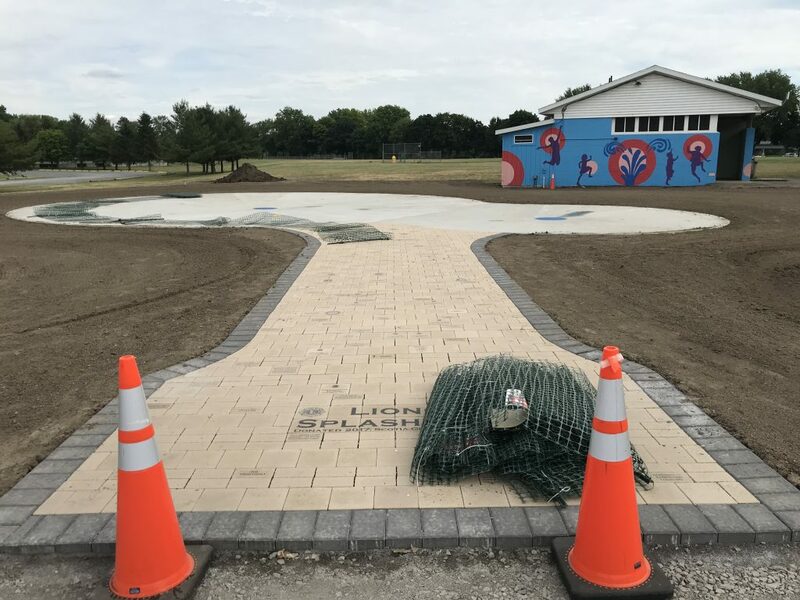 Lions Splash Pad is moving closer to being finished. The area is now graded and dressed with topsoil. Sod is coming Monday. Trees, benches and tables are next. Grand Opening planned for Saturday June 30 @11:15. We got the Splash Pad turned on for the first time and it looks good. The surrounding area is being prepared for new sod and trees and the new paver walkway was installed. Don’t worry if you don’t see you brick. There are about ~40 engraved bricks will go in early next week. Grand Opening still planned for Sat June 30 at 11:15.